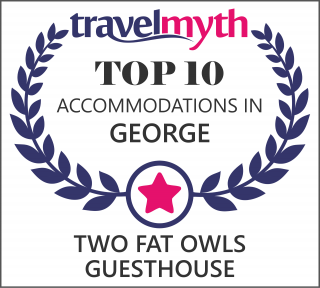 Two Fat Owls | George's Finest Luxury Guesthouse – Two Fat Owls offers a refined luxury accommodation experience along the Western Cape's beautiful Garden Route. Various rooms to choose from. The Guesthouse has a Spacious Honeymoon Suite with Mountain views, two Large Luxury Rooms and one Standard room. We have an enclosed parking area for 9 vehicles, and you can feel free to leave your vehicle on site when you feel like walking to any of our wonderful restaurants or maybe the Botanical gardens.